Clean air in means more power out. Just like you, your Toyota likes to breathe fresh air, and with a dirty air filter, that can be a difficult task for your engine. 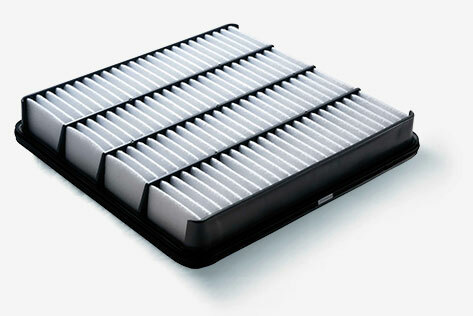 Genuine Toyota air filters are engineered specifically for your vehicle to help trap airborne contaminants before they reach your engine, preventing premature wear and extending the longevity of your vehicle. Additionally, a clean air filter improves your engine's performance and fuel economy, leading to a happy driver and happy engine. Here at our dealership, we carry an impressive inventory of Genuine Toyota Parts and have a team of expert technicians working hard to provide the best service possible. 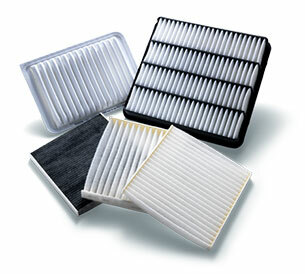 When it's time to replace your engine air filter, stop by Toyota of Louisville. Your engine will thank you. When it's time to breathe new life into your engine, look no further than Toyota of Louisville for service you can trust and parts you can count on. Toyota recommends replacing your engine air filter every 30,000 miles or 36 months under normal driving conditions and recommends inspecting the filter every 15,000 miles or 18 months if you frequently drive in a dusty environment. So, if your engine is ready for a breath of fresh air, stop by Toyota of Louisville, and we will get your vehicle running like new quickly and efficiently.